We are so happy, and thankful with the lineup of presenters for the 16th Annual Educational Conference; we are convinced you'll agree with us. During the 2016 CHIA Conference we'll be celebrating CHIA's 20th Anniversary, and we'll be joined by the likes of Cynthia E. Roat, Izabel Souza, Daniel Tamayo, Tracy Young, Alvaro Vergara-Mery, Ira SenGupta, and so many other wonderful trainers that you should just take a look at the program. The two-day Conference will have four pre-Conference workshops, and 20 sessions to choose from; with presentations on Language Access, Medical Terminology, tips and techniques for Managing the Encounter, and Interpreters' Professionalism. There will be time to connect with friends, and opportunities to make new ones; time to network with our sponsors and exhibitors, with CHIA's leadership and with all presenters. Friday evening during the reception we'll have the Poster Presentations, and be entertained by Djembe Fusion. Led by master drummer Dramane Koné and featuring djembefola David Hilal, DJEMBE FUSION is a drum ensemble fusing new generation and traditional West African rhythms and percussions. A native of Burkina Faso, Mr. Koné has performed and appeared in music videos with Shakira, Stevie Wonder, Beyoncé, and Herbie Hancock, as well as having toured Europe and performed with other internationally renowned West African musicians. 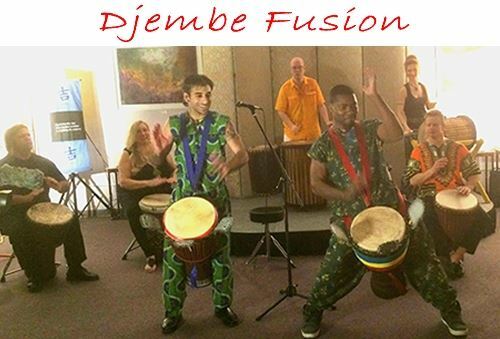 DJEMBE FUSION gives a high energy, interactive show that will get everyone up and moving!